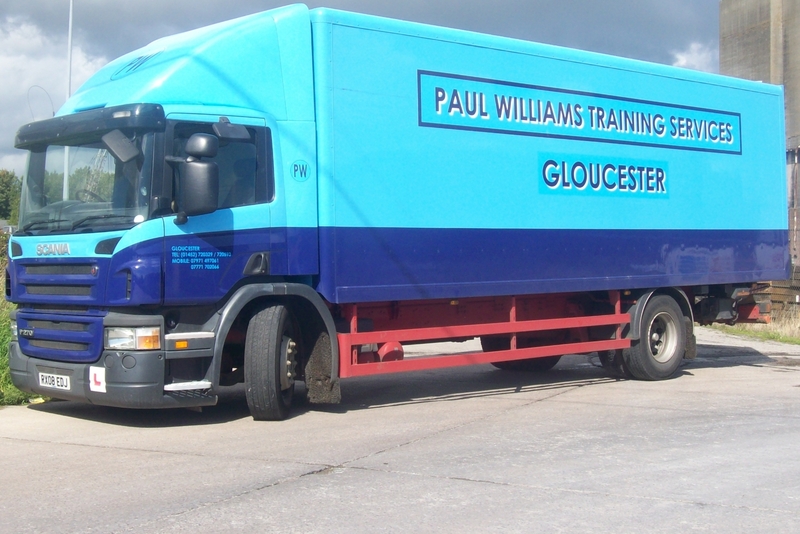 Here at Paul Williams Training Services, we are able to provide individuals with professional HGV training within Moreton-in-Marsh. Our courses are reliable, professional and rewarding, we comply with up to date training programmes and ensure that each individual meets the specific requirements. Our team are fully qualified to deliver all aspects of our courses, as well as friendly and understanding in order to make you feel as comfortable as possible. We understand that taking any driving course can be nerve raking which is why we do our best to ensure you are completely prepared and focused throughout the process. We cover all aspects of HGV, LHV and Driver CPC training and other driving classes; Regardless of the driving license you require - we can help. As well as offering our courses we now are able to offer our customers a testing service. Our DVSA reverse area is complete which allows our customers to take tests at our site. This gives individuals the ability to gain experience which is needed for the practical demonstration part of their test. If you would like to book a test, please call us today on 0845 136 8147 or 07771 702066. Here at Paul Williams Training Services, we offer a professional coach training service to our customers in Moreton-in-Marsh. For our class [D] coach training we use a 55 seater, 12 meter coach which has a manual gearbox with 6 gears and a large v8 Mercedes engine. We train in four-hour lessons with you and one of our expert instructors, which enables us to help you learn faster and your confidence to maximise quicker. This course usually begins at 8:30am and finishes at 12:30pm or 12:30pm to 4:30pm. The number of days will be discussed at the assessment drive. The C + E Artic class has the same gearbox as the C class vehicle and cab layout meaning upgrading is not a large problem. The trailer we use for this course is a 36 feet long two Axel on air suspension and has ABS fitted. We believe this length of trailer is well suited for driving throughout the town and also on our large reversing area when practising the reverse manoeuvre for the test. If you would like to upgrade from class C to C + E, just give us a call today to book an assessment drive or a refresher course. Moreton-in-Marsh is a lovely market town situated in the northern Cotswolds on the Fosse way and on the West Midland railway, near the meeting point of Gloucester, Oxford, Warwick and Worcester. Saxon in origin, Moreton-in-Marsh is over a thousand years old and has been forever growing into a busy market town; every Tuesday Moreton holds a market which attracts a large amount of people. Moreton-in-Marsh has many places to visit, as mentioned above the Tuesday market is a great place to visit if you want to get a feel for what the town is relatively famous for. Why not take a walk around Batsford Arboretum and enjoy beautiful views, bespoke statues and the play area for the little ones. If you would prefer to visit a more historical aspect of Moreton-in-Marsh, take a look around Chastleton House and Garden which is known as being a stunning house from the outside and a very interesting house on the inside. When Are We Available To Work In Moreton-in-Marsh? Here at Paul Williams Training Services, we are dedicated to working Monday – Friday 8:30am – 4:30pm as well as Saturday 8:30am -12:30pm. During these hours we ensure that our customer's needs are met regardless of what they may be. If you feel as though our HGV, coach or artic course could be beneficial to you, please call us today on 0845 136 8147 or 07771 702066.